Nancy Halvorsen has been one of my favorite fabric designers for a very long time! I’ve made several projects using her amazing fabrics and proudly display them in my home. I even have a Nancy UFO (un-finished object) … a king sized quilt for my bed completely made from fabrics that she designed! I really need to get that finished, but back to the subject at hand … BREE! This is such a bright and fun collection – it just makes me smile. We are in the process of revamping our laundry room, and while cleaning it out I found my “Bags of Bags” … oh so many plastic grocery store bags. These “Grocery Bag Holders” will be a great solution to that problem! I love projects that are pretty and functional. 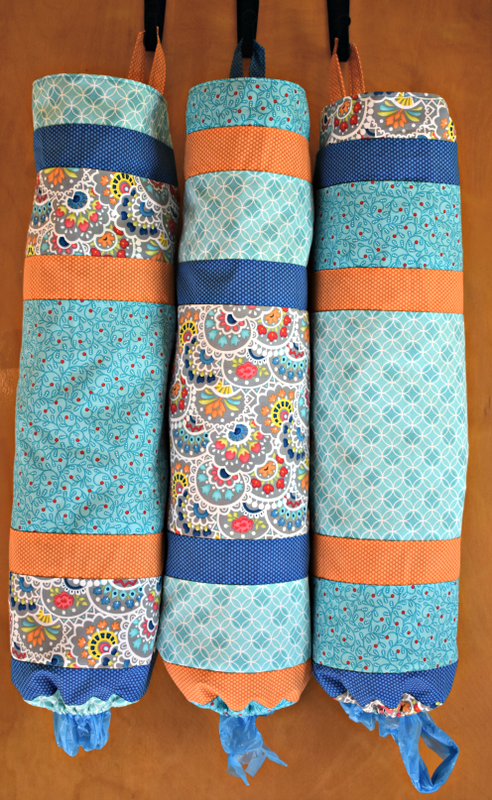 Arrange your 18” strips, then sew together. I like to flip my stitching direction on each strip when I sew longish strips together, it helps to keep the whole project square. Press all the seam allowances in one direction, then square up to 17” X 24-1/2”. Fold top edge down ¼” and press, then fold again to create a clean edge on the top. Top-stitch 1/8” from top edge. Fold rectangle in half, lining up seams and pin. You are going to stop sewing 1” from the bottom edge, so I mark this with a different pin. 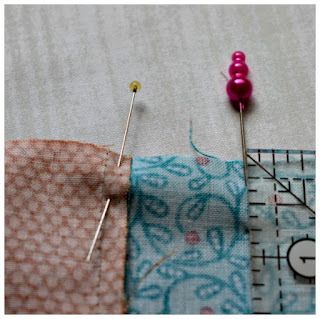 Sew – making sure to back stitch at the beginning and end. Press the seam allowance open, and don’t worry too much if your seams don’t line up perfectly – this will be the back! Fold bottom edge in ½” and press, then fold and press again. Top-stitch 1/8” from edge all the way around (backstitch at beginning and end) to create casing for elastic. Run elastic through the casing (I like to use a safety pin). Tip: pin loose end of elastic to project so you don’t pull it through and have to start over! Sew ends of elastic together, then tuck ends into the casing. 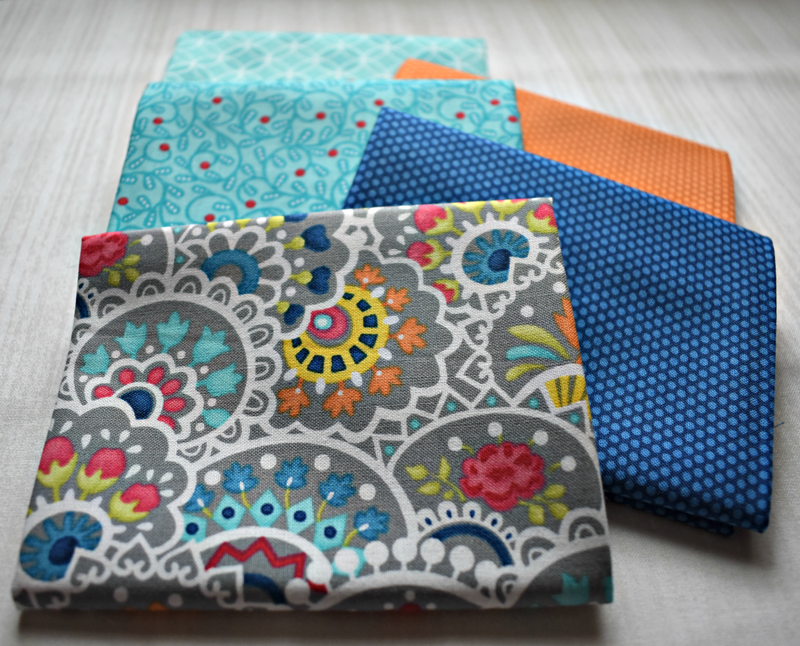 For a chance to win a fat quarter bundle of select Bree fabrics, leave a comment below letting us know what colors you'd choose from the Bree collection to make these bags. Giveaway is open through Saturday, August 12th at 11:59 pm EDT. Teal, pink, and the focus print. Teal, dark blue, and pink. Thanks for the great tutorial. I like the green with yellow and red. I'd go with the greens and yellows that match my kitchen décor. I really need one of these grocery bags for my laundry room to keep those bags in order! I'd choose Multi Paisley Aqua, Paisley Aqua and Dot Circle Aqua to make mine! This is a fabulous fabric collection...love Bree! I would choose the reds to go with my kitchen. I love the feature paisley print in grey and all the reds! So pretty! Love teh aqua colors! The multi paisley aqua is my fav!!! I would choose orange, blue and green. Thank you! I think I would copy you and use the exact same colors. It looks great and teal(Aqua) is my favorite color. I would use a paisley and different aqua prints with a little of the dark teal. Nice collection! The aqua prints, especially the multi paisley. Love the collection! I would use the same fabrics. Looks great! Especially the paisleys. Loving teal and orange combo these days! I like the blues with gray and the focus fabric in blue or gray. Love the fabrics you chose, but I might use a red in place of the orange. I would use the red, the aqua and the green prints for my bag. Great project! Thanks for sharing. gray, yellow and the orange. Thanks for the how to. 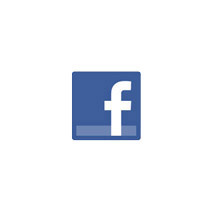 I bought one of these bags years ago...it is outdated and grungy...need to update soon. Think I would go with the blue, print, and maybe teal. Love these shopping bag holders!! I'd choose Blue Dot, Paisley in Aqua, and Aqua!! Navy, aqua, gray and pink! This fabric is so pretty! Blue, yellow, and red for POP! I would, however, make more reuseable market bags and continue to leave the plastic ones in the store. I would pick the greens, blues, and reds. Thank you for the chance. I love Nancy Halvorsen's fabric designs. I would choose the multi paisley green, paisley aqua, paisley coral, dot circle orange, and berry dot red. I would use the Multi Paisley Green, Paisley Coral & Berry Dot Navy. I would choose the Paisley Navy, Dot Circle Orange, Dot Circle Grey, Paisley Aqua and the Berry Dot Yellow. I really appreciate this tutorial. The Plastic Bag Bag has been on my To Do List for so long and today is the perfect day to make one. I just wish I did have this gorgeous fabric bundle to make the bag or bags with! Thank you for sharing and have a great day! I love green, the paisleys and orange. I'd use Multi Paisley Green with Paisley Coral, Dot Circle Orange, and Tiny Dot Aqua. Thanks for the tutorial, I need one of these for my kitchen! I would use some combination of grey, green and orange, I think. Thanks for the giveaway. I would use the teal Paisley and the green Paisley and use some other teals and greens. I would use the yellows and blues. Thanks for the tutorial. I would use the multi paisley navy with dot circle yellow, berry dot navy, swirl red and tiny dot green. I like a mix of the blues with a bit of the green. These bags are so useful! I would use blues maybe greens, peach and a light color. I would use the turquoise print with red flowers & dark blue stripes, the royal blue dots, red dots, the dark blue patterned fabric with small red flowers/paisley and possibly the turquoise dots. Bree is full of life & fun colors! Thanks for your tutorial. I love the red paisley. Would combine it with other reds and greens for accents. I really like the green paisley. I would use some of that to make those bag holders. I love Nancy's collections! My very first quilting project was a tree skirt kit that I bought because I loved the colors so much that I couldn't leave the kit behind; I didn't know anything about quilting at that time! I would use the navy paisley, the gray dot circle, and the blue aqua check. Thanks for this chance to win some of these beautiful new fabrics! I'd definitely use the multi paisley in navy. Thanks for the chance to win! I'd be using the navy multi paisley along with corals and yellows. Love the idea of the bag holders. I love the navy paisley and yellows! I'd use Multi Paisley Green, Dot Circle Green and Berry Dot Navy. Multi paisley aqua with some of the yellows. I was given one of these sleeves years ago. Thought I'd never use it and now I wouldn't want to be without it!! I would choose the navy paisley, yellow, green, the gray check and the blue fabric. Navy and yellow- a favorite combination! I like paisley, yellow dot and blue. Lots of nice combinations. Yours look great. I'd use green, blue, and paisley. Thanks for the tutorial! I would use the Paisley Navy, yellow and green. What a fun choice. I was a bit more specific, and chose Swirl Red, Stripe Red, Dot Circle Gray, Berry Dot Navy, and Check Blue/Aqua. The possibilities are endless, both with the pattern and this cheerful line. Paisley aqua, navy, red and yellow. I love the aqua, pink and navy together. I would use the Berry Dots Red and the Orange Circle Dots Orange. Thanks! Would definitely have to use the Navy Paisley!! ohhh or the gray.. this collection is just gorgeous. These colors match my kitchen perfectly! I'd copy this fabric color way! Mmmmm..... the grey paisley is delicious! I'd use the paisley grey with all five of the dot circle prints. This fabric line is wonderful with lots of great textures and colors. I would choose multi paisley navy, paisley coral which I love, berry dot navy, and berry dot yellow. I love your color choices! Another group I would like is lime green, orange, yellow and grey. I would use the blues and navy paisley! Thank you! Aqua and dark blue with the large multicolor would be my choice. I love them all, but I especially like the bright teals and yellows! I love the colors you used! Perfect! Thanks for this great tutorial, I have been using empty klennex boxes for my bags and this bag would be perfect and take up less space. I would use the colors Multi Paisley Gray, Dot Circle Yellow, Dot Circle Aqua, Paisley Orange and Berry Dot Navy. I can't wait to make it, one for kitchen, one for quilting room. I would put together the Grey & Red. Then break it up with yellow. I love the orange and aqua together!